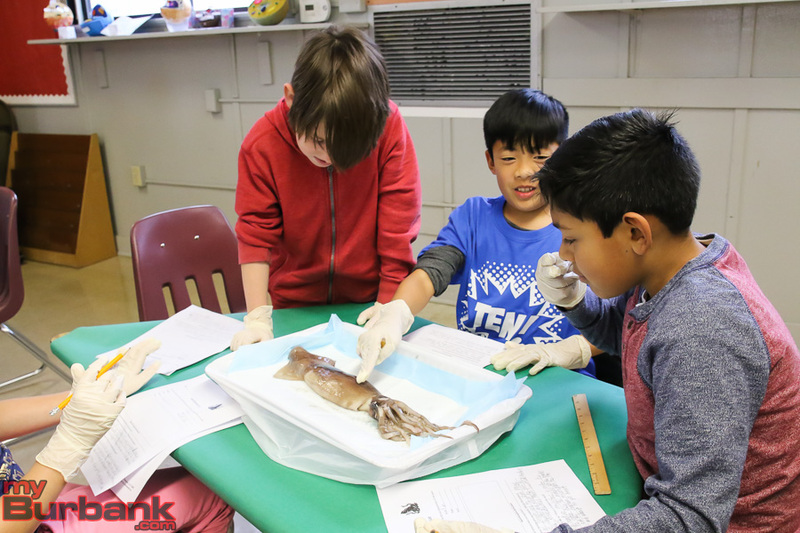 Fourth-graders in Andrea Terrell’s classroom at Bret Harte Elementary School dissected whole squid as part of their study in science. 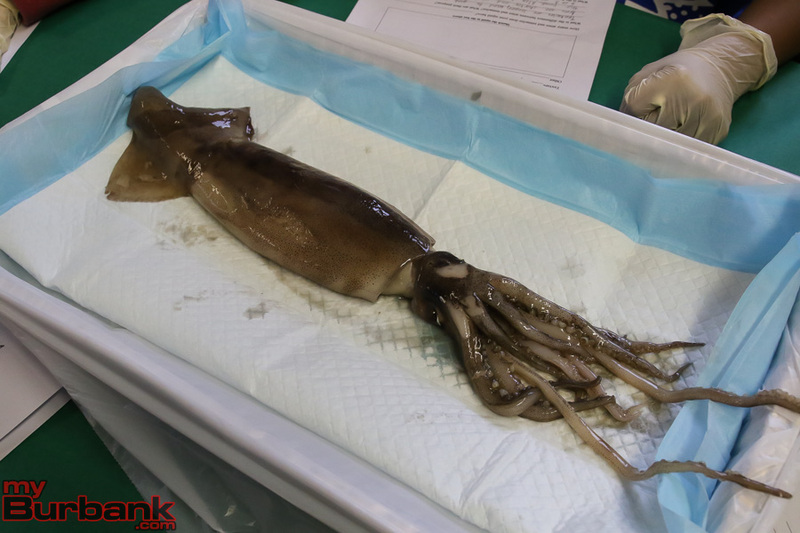 In a group of three or four students per squid, the nine- and ten-year-olds started with a lab packet outlining questions they would need to answer, based on their observations. 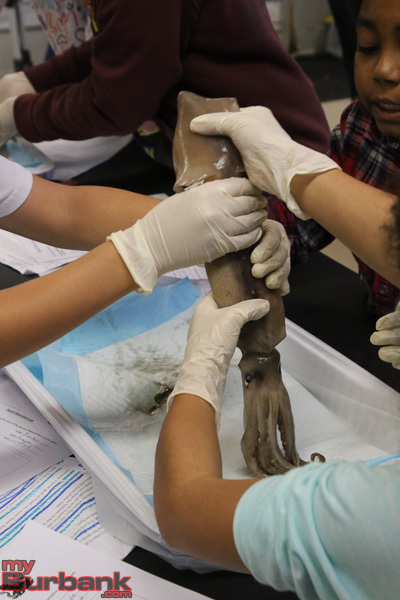 Students measured the physical dimensions of the sea creature and described the texture, coloring, external and internal anatomy, explained Terrell. 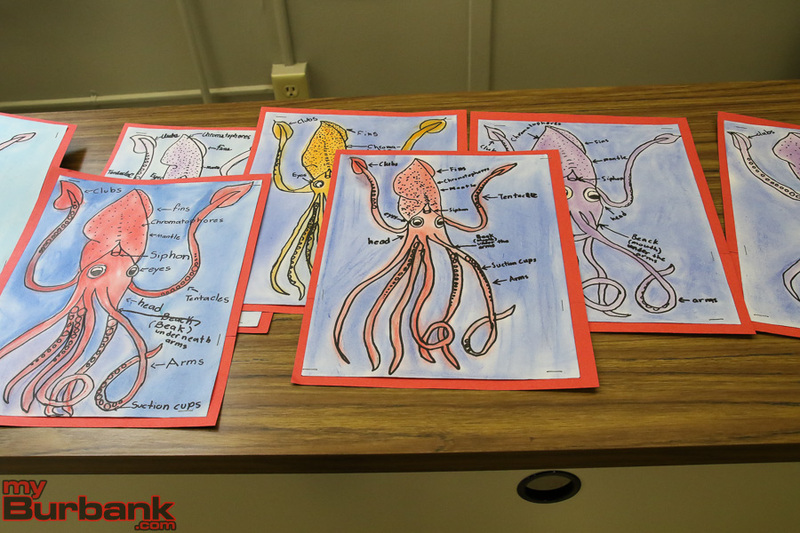 After Terrell went over the vocabulary related to the science project, she connected what the students have already learned in class to the squid anatomy and its functions. 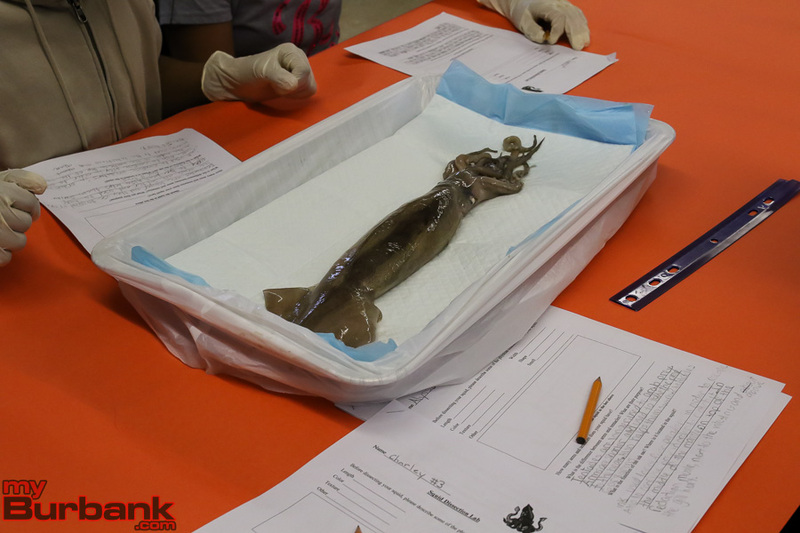 Once Terrell cut open each squid, the students were able to match what they see on the table to the diagram of its internal anatomy. 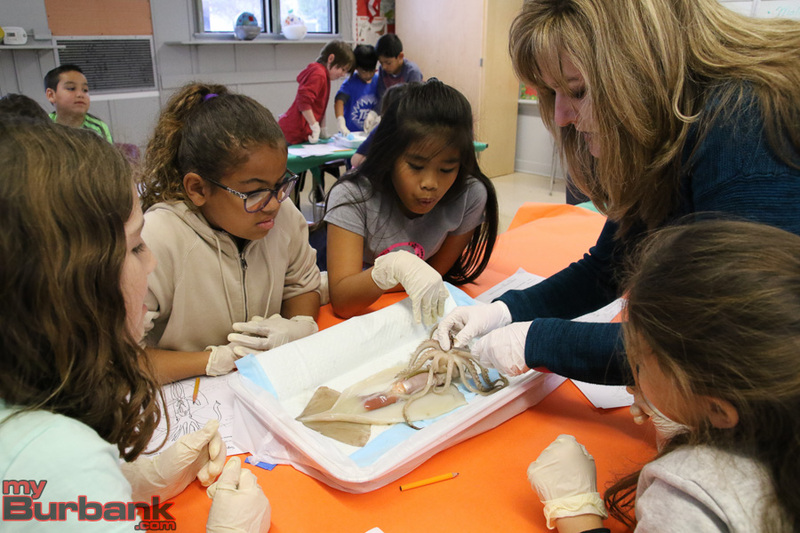 She asked students to point out certain physical structures of the squid and answer questions within their group. 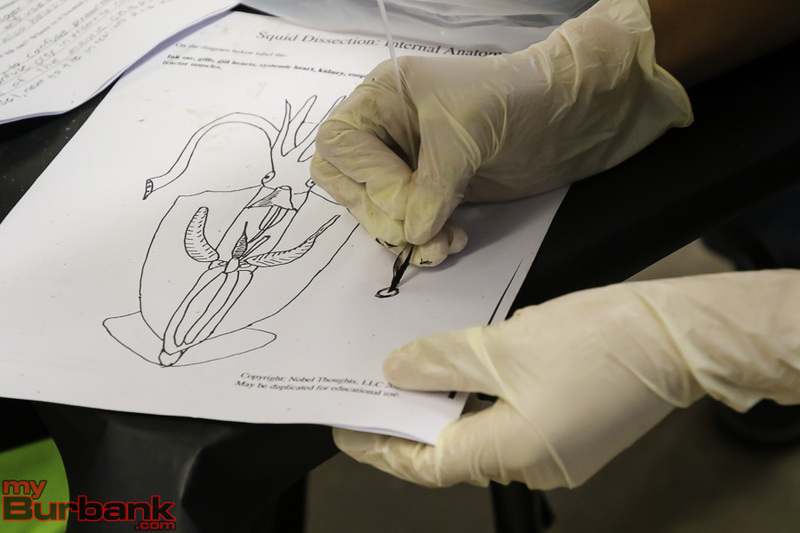 Students ended the lab by puncturing the ink sac and writing their name in squid ink on their paper using the quill and ink from the ink sac. 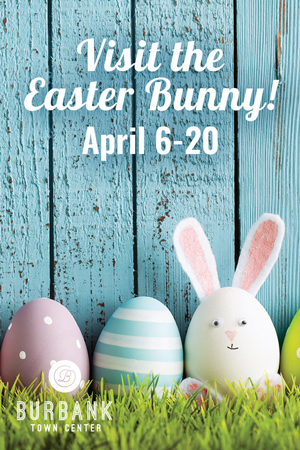 “With the Next Generation Science Standards, we have been learning about how plants and animals have internal and external structures that function to support survival, reproduction, behavior and growth within their environment,” said Terrell. 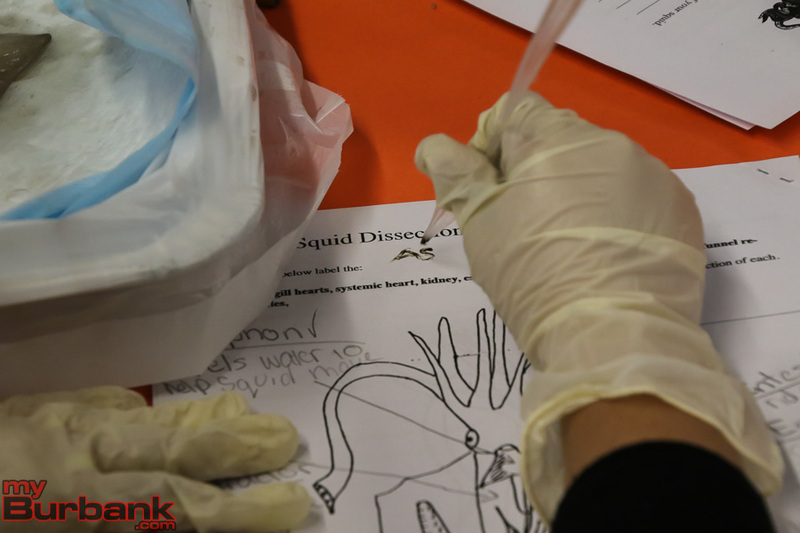 Several of the students commented on aspects of the squid dissection they liked or didn’t like and what they learned. 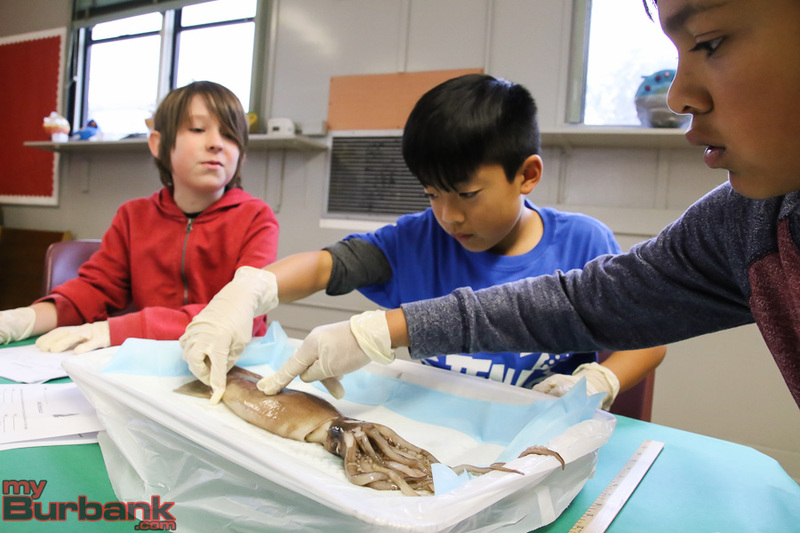 “I learned a lot from the dissection about how their body functions, such as how the chromatophores on the mantle of the squid help the squid camouflage and hide from predators,” said student Charley Barnett. 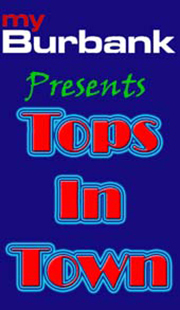 “I liked the fact that I got to see inside the body of a squid!” added Jeremiah Rivas. 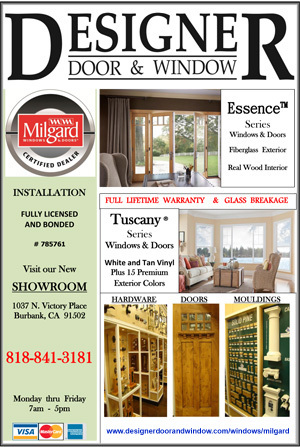 This entry was posted in News, Schools and tagged bret harte elementary, nextgen science standards on March 7, 2017 by Lisa Paredes.